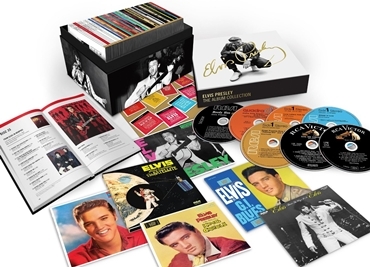 This 60th Anniversary 60-CD Deluxe Edition celebrates RCA Victor's signing of Elvis Presley. 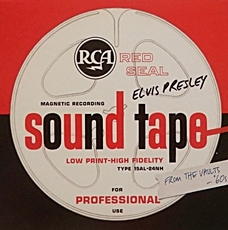 It features all of the albums Elvis recorded and RCA released in his lifetime: studio, soundtrack, and live. Original album packaging has been painstakingly restored including original sleeves, stickers and more. The publicity promises, "The Album Collection also includes a 300-page deluxe fully illustrated hard cover book with complete insightful commentary, discography and recording session data. 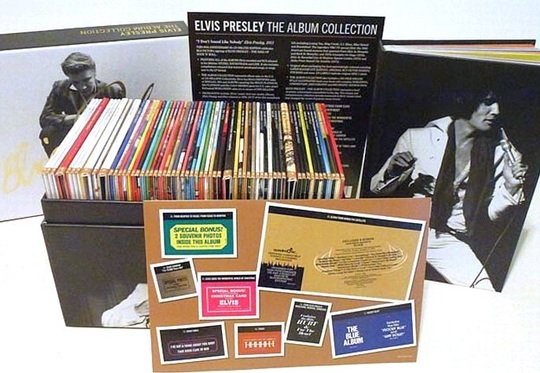 Elvis Presley-The Album Collection represents a level of artistic achievement unparalleled to this day. To view the contents check out this 2 minute video. CLICK HERE TO VIEW THE PROMO. Anyone visiting Elvis internet forums will know that this 60CD set has proved somewhat divisive among the more hard-core fandom. The box set promises much. It contains all his lifetime albums we are told, as well as the lifetime compilations that contained new-to-album songs. It also contains "restored artwork," reproductions of original inserts that came with the LPs (photos etc), and a fully-illustrated hardback book. So, why the controversy? Well, because it doesn't quite deliver and because some strange choices were made. Still, many fans were predicting a price tag of roughly double the £160 / US$300 we were eventually charged, and that price tag is worth remembering. But let’s take a look at the good, the bad and the ugly of the set. The albums You'll Never Walk Alone, Burning Love and hits from the Movies, and Separate Ways all contained new-to-LP songs - but none of them are included here, although the songs from them are. Why aren't they included? Well no-one seems to know, although the decision isn't a surprise as the track listing was available long before release. It has to be said the loss of these albums in particular is both strange and sad because it means the set isn't complete and, what’s more they are not here through what appears to be a simple arbitrary decision without rhyme or reason. One can’t even argue that these are missing because most of their songs are not new to LP, because that isn’t the case with You’ll Never Walk Alone where only 4 out of 9 tracks had been released before. 1975's The Sun Collection isn't here either, although all but a couple of tracks were already available on other LPs, and the same goes for 1977's Welcome to My World and the Worldwide Gold Award Hits albums. The reason for these not being here may well be to do with the 60 Years/60CDs selling point, but the same company didn't go with 80 Years/80CDs when it released a similar set based around Johnny Cash albums for what would have been his 80th birthday. What’s more, the three Camden albums mentioned could have created a boxed set that contained 60 original albums to celebrate 60 years, and with the three final discs as bonuses. An early decision on marketing appears to have dictated how the box was put together, which seems ludicrous. It's also true that some of those photo inserts I mentioned earlier aren't included either, and a couple of stickers are left out too. This is something that nobody other than the hard-core fan is likely to even know about, let alone care about. But still, these are errors that are unfortunate. I have seen a number of fans getting very tetchy over these omissions because it means the set isn’t actually recreating the original LPs – but I’m not sure why such minute details matter considering the same fans probably have the original albums on their shelves anyway. One of the main attractions of these boxes is normally that the original running order of an album is retained without any extras tagged on the end. Sadly, that doesn't happen here, with a number of the albums having "bonus tracks". On a couple of occasions this makes sense - for example the alternate "Tonight's All Right For Love" on G.I. Blues, or the after-show songs on the end of Aloha from Hawaii. In other places, they work OK, even if I would rather they weren’t there. Elvis Now for example has three tracks added to it that tie in nicely with the rest of the album and don’t seem that much out of place. The same isn’t true with Love Letters from Elvis, though, which has its own sound with the prominent woodwind overdubs (making it sound like elevator music), and so it makes no sense to have three ballads tacked on that don’t continue that overall feel (for better or worse). The same is true for the Fool album. 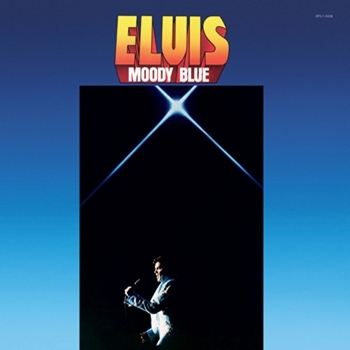 Elvis’s most low-key album release of the seventies now has Burning Love and An American Trilogy after the album has ended and they stick out like a sore thumb following the folk tracks and the piano songs. Along the same lines, no-one wants to listen to the enjoyable Almost in Love album and then be bombarded by Signs of the Zodiac or Dominic, a song about an impotent bull no less. We are told in the notes that songs were placed where they were deemed most appropriate, and yet Plantation Rock and Dainty Little Moonbeams are added to Let’s Be Friends rather than Girls Girls Girls. The set ends with three CDs of so-called rarities "From The Vaults", and this is where these bonus tracks really belonged. These final discs should have been single-only sides and masters released after Elvis's death. And they would have been a fun listen. As it is, these final discs are a truly unmitigated mess (see tracklisting below), switching from poor sounding TV recordings to stellar sounding studio recordings to distorted private recordings and then back again. Fans already have this material, and the more general buyer is not likely to have any interest in it – and the switching in sound quality from one thing to the next make them almost unplayable. And these decisions are the biggest problem of the set. And that's all I have listed so far: the problems. Fortunately, there is still more things right with this set than wrong with it. The card sleeves for each CD are clean and crisp in their presentation of the original album artwork. The 300 page book (hardback) is laid out very nicely and contains full track listings, recordings dates, sessionography and discography as well as a wealth of pictures and historical documents. There is also an essay that is not particularly good by someone I've never heard of* that waffles on about Pure Gold of all things and, in the understatement of the year, tells us that Burning Love and Separate Ways were “scattered across LPs that didn’t hold together quite as well as Elvis Country"! Most importantly, the sound quality is truly excellent. It's not known when these were remastered, although they seem to derive from the same versions as used in the 2010 The Complete Masters chronological boxed set of Elvis's recordings and on the 20CD soundtrack box - but there are also some improvements on those on more problematic items. For example, the original mix of Blue River (used for the 2010 and soundtrack sets) contains distortion just as it did on initial release in 1967. That distortion has gone, and the sound is as clear as a bell. Also, some of the soundtracks, which often sounded poor, sound better here than they have done before, with significant improvements on something like Frankie and Johnny, for example, while still retaining the original mix. There are, though, some odd choices made – such as taking the mono C’mon Everybody album and replacing all the songs with their stereo counterparts. Personally, I couldn’t care less, and it sounds great, but again this is an arbitrary decision on a boxed set designed to provide us with the mixes and sound of the original albums. The majority of the tracks are of the same fabulous audio quality as The Complete Masters (by Vic Anesini) and with some of the noted audio errors having been fixed. It is notable however that the two fifties compilations included here - For LP Fans Only and A Date With Elvis - do feature their original sound which had noticeable added RCA reverb added to Elvis' SUN recordings. So while these are of a lesser audio quality than on The Complete Masters, they do represent what was on the original releases. EIN Contributor David Tinson adds.. 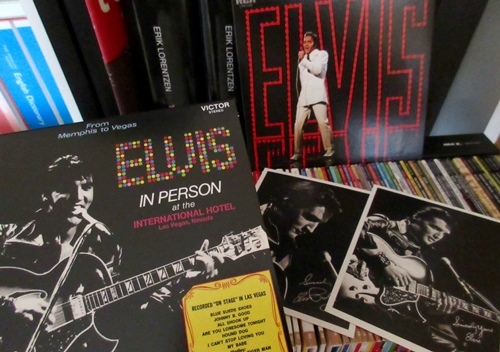 Focusing on two classic albums from the Elvis Presley 60/CD Album box set - the 1968 NBC-TV SPECIAL & MEMPHIS TO VEGAS, VEGAS TO MEMPHIS are fan favourites that offer a peak 1968-69 Presley double-whammy that's simply irresistible. A veritable Rock & Roll TKO for Presley fans -- the two releases from arguably his golden years sound better than ever. Case in point: the clarity and intonation on his voice during the gospel rave-up 'Saved' from the iconic ’68 NBC-TV Special is breathtaking. Additionally, the bass drum during the final third of said tune is more pronounced, resulting in a profound listening experience. The studio recordings it must be said are exceptional. likewise the stunning stand-up show portions. However, the sit-down segments lack guitar-bite compared to previous releases of the material, that said it's still possibly the best sounding version of the original 1968 NBC-TV SPECIAL album to date. On gauging the sound: the gong when struck at R&B belter 'Little Egypt's' conclusion is stunning. Furthermore, nuances previously unheard are abound with organs, tambourines, harmonica, bass and in particular his voice, defined in super clear sparkling sound. 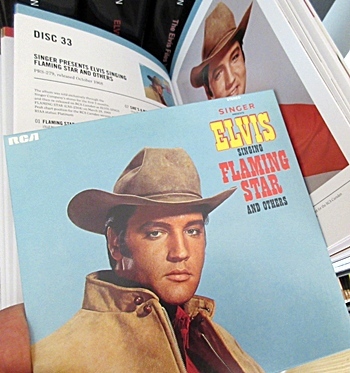 NOTE: ELVIS SINGS FLAMING STAR includes Elvis' stunning Tigerman performance from his 8.00pm sit-down show, representing a COMEBACK SPECIAL feast of sorts. Ultimately, the release of this is a case of "about time." 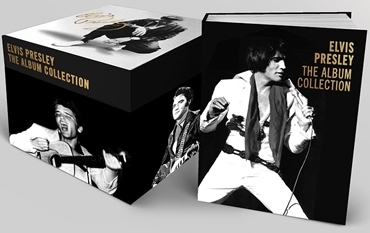 No, it's not perfect, and some strange choices were made when putting it together as outlined above, but it is a one-stop boxed set that showcases Elvis's career. It's a career that was/is remarkably frustrating at times, and shows just why Elvis isn't taken as seriously at times as he should be. There is the fall into the often-awful soundtrack albums - and yet each one still contained a gem or two (with the exception of Harum Scarum). But then there is the rise again in the late 1960s in a remarkable run of Elvis's most adult albums - but this box reminds us all too well that these were interspersed by compilations of the soundtracks. By 1971, the passion of the comeback had gone and Elvis's recording career seemed to be as much of a chore for him as anything else - but his best work was still outstanding, even it was thrown together on hodge-podge albums with bland covers. 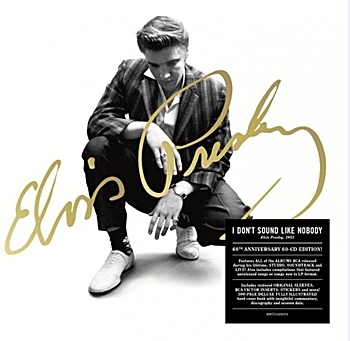 What this box does is remind us at some point on every single CD why Elvis was so great and so important, but it also reminds us why, despite that, he was still an under-achiever. Tracks that should have stayed in the vaults were issued, such as the half-finished, awful Hey Jude that became an album filler on Elvis Now some three years after it was recorded (so much for Elvis NOW). And yet at all points in his career there were great moments, even towards the end there came the enjoyable country album, Today, and even his penultimate LP, the lamentable From Elvis Presley Boulevard Memphis Tennessee, contains one of the most poignant renditions of Danny Boy you are ever likely to hear. Even in those soundtracks years, an album such as Spinout has one of the greatest of all Bob Dylan covers hidden away as a bonus track. And all of these frustrations and paradoxes are laid bare on these 60 discs which present Elvis's albums in the chronological order of their release. The other, rather unexpected, thing about the box is that it makes us hear things slightly differently to how we are used to hearing them. So many Elvis sets over the last twenty-five years have been in chronological order of when they were recorded, meaning we would get all of the songs from Easy Come Easy Go together, for example. And as a session they sound awful – but spread over I Got Lucky and C’mon Everybody then may sound lightweight and bland but are decidedly less offensive to the ear than as a seven-song clump. Overall Verdict: Despite its faults, this is a must for a fan building their collection (you're not going to get all this any cheaper) or for the more general buyer with a genuine interest in rock n roll, country or blues. It’s also designed, of course, for the fan who has everything but also wants a copy of an album with the original track listing that isn’t suddenly going to lurch into hundreds of outtakes afterwards. That doesn’t quite work because of the bonus tracks, but considering some of the products that Sony have thrown at us over the years, the decisions made could have been a whole lot worse – and it seems that, if Sony had promised less (no insert photos and stickers, for example), more people would have been happy with it than apparently are. Personally, it’s great to have everything in one place, nicely packaged, and sounding great – and who thought we would ever see that for just £159 (US$297) ? EIN thanks Shane Brown for his detailed review. EIN thanks David Tinson for the extra input. Art Direction by Roger Semon. Design by Amy Knowles Design. 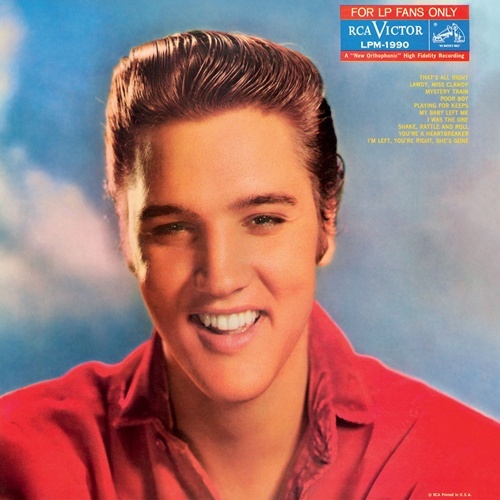 "Elvis: A Listener's Guide" By Shane Brown: Since Elvis's death in 1977, hundreds of books have been written about Presley, but very few concentrate on the most important thing: the music. 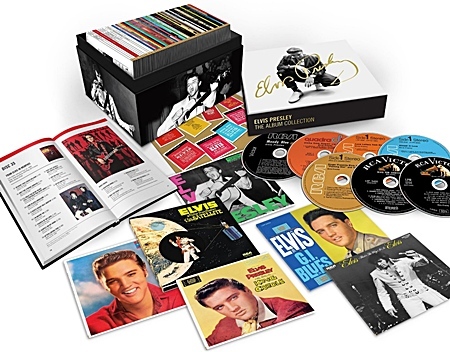 "Elvis Presley: The Album Collection" 60CD Box Set- extra details: The recently announced "Elvis Presley: The Album Collection" 60-CD Deluxe Box Set has prompted some relevant questions from EIN readers. Good news is that the these are all NEW Re-Masters from the original tapes, re-done by Vic Anesini using the most up-to-date technology. 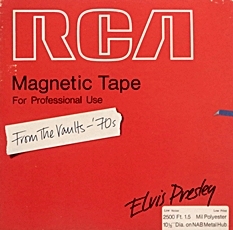 Keen fans have noted that there were multiple songs that Elvis released as singles that never appeared on "regular" RCA albums. For instance 'Suspicious Minds' could only be found on the 'Worldwide 50 Gold Award Hits' box-set, and 'Burning Love' on the 'Burning Love and Hits From Movie vol.2' both of which are not included in this 60CD box-set. 'A Legendary Performer' Vol 1 & 2, 'Having Fun With Elvis On Stage', 'Pure Gold', 'The Sun Sessions', and 1977's 'Welcome To My World' - (not including a few Camden collections). This new set does however include three extra CDs of 50's, 60's and 70's Rarities - but these would obviously not include the noted missing singles. 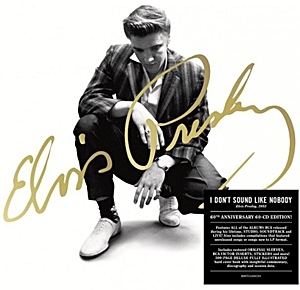 The answer to the questions is that despite the suggestion of releasing Elvis' "Original albums", several of them have had new "bonus tracks" added to their original tracklist to accommodate the missing single & EP tracks. For instance Suspicious Minds, Don't Cry Daddy, Kentucky Rain and Mama Liked the Roses have all been added to the "new" version of 'From Elvis IN Memphis' while Separate Ways, For the Good Times, Burning Love, Always On My Mind, It's A Matter of Time and American Trilogy have all been added to the "Elvis (Fool)" album. And despite Elvis never wanting the dreadful 'Dominick' to be released it has been included on the Camden 'Almost in Love' collection! Comparing the tracklist to the fabulous 'The Complete Masters' release of 2010 , 'Elvis Presley: The Album Collection" Box Set' contains 784 songs while 'The Complete Masters' featured 814 "masters". The only tracks on this new box-set that were not on 'The Complete Masters' are from the Frank Sinatra TV show, 'Stuck On You', 'Fame and Fortune' and the 'Witchcraft / Love Me Tender' duet. The three new "Rarities" collections feature the expected fifties acetates and early live recordings, the sixties Home Recordings, 'Are You Lonesome Tonight? (Laughing Version)' etc while the seventies include Rehearsal Jams, studio alternates even 'Froggy Went A-Courtin’! The publicity does however promise, "The Album Collection also includes a 300-page deluxe fully illustrated hard cover book with complete insightful commentary, discography and recording session data. 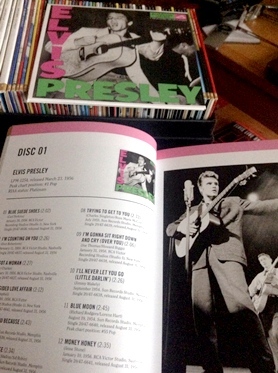 Elvis Presley-The Album Collection represents a level of artistic achievement unparalleled to this day. This unique and comprehensive collection provides testament to Elvis' innate talent. Original album packaging has been painstakingly restored including gatefold/die cut sleeves, original RCA Victor inserts, stickers and more. CD labels replicate original side 1 labels." Check prices at your local dealers to see if you can grab a bargain - make sure you check postage cost. Here are AMAZON's price deals including free postage. To make sure that all of Elvis' single, EP and additional releases are included, the following additional tracks have been added to the ORIGINAL Album tracklists. Disc37 Let's Be Friends - Additional Track, Dainty Little Moonbeams, Girls! Girls! Girls! Finale, Plantation Rock, Let Us Pray, Who Am I? 'How the new EP 60-Disc Box Set Was Assembled': Today marks the 60th anniversary of the self-titled debut RCA album from Elvis Presley. To commemorate that occasion, Legacy Recordings has released 'Elvis Presley - The Album Collection', the 60-disc whiich spans the entire run of his 21 years with the label. Legacy senior vice president John Jackson talked to Billboard concerning the thought process of assembling the set. "The way we decided to approach this package was to recreate the original albums. Now, the definition of what an original album is on Elvis becomes tricky because there’s been so many collections and compilations of things that were released during his lifetime. What we decided to do was hone it down to what would be considered a new album with new material that was released during his lifetime. There is also 3 discs of stray material that either were never on LPs or was discovered after he passed away. In essence, it’s the complete masters collection that we did about 10 years ago, but arranged in the order that the fans would have first experienced the music. One of my favorite examples is ‘That’s All Right,’ which people have accepted as book one, page one, of Elvis’s career. But, unless you were living in Memphis or the south, you wouldn’t have heard that song until it came out on the album 'For LP Fans Only' in 1959 after he had gone into the Army. I think the '70s stuff, which is something we’ve been trying to get people to reassess. At that point, he was trying to do songs that spoke to him and not just ones that were pitched to him by his publisher. During that time, he was getting into some deep stuff, though the albums were so unfortunately packaged." In the book that accompanies the package, it is mentioned that the label failed to really distinguish between many of his '70s albums. "There were 22 or 23 albums during his lifetime that showed him simply in a white jumpsuit against a black background. People wondered how to tell the difference. There were studio album and live albums, and all of them looked like the same record, though they were different. It’s an interesting to look back on how it was positioned at the time." 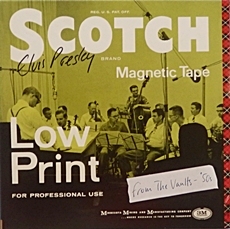 In addition to the music, much attention was paid to the packaging of every Presley album in the collection. "We went through every single record -- down to the original pressing -- and recreated everything from the inserts. There’s a sheet of all the original stickers that came on the albums that you can put on if you want, there’s pictures inside the inserts. It gives people an idea of what you would have bought when the record first came out." On the 1967 Clambake soundtrack release, for example, included is a wedding picture of Elvis and Priscilla, who were married in May of that year. 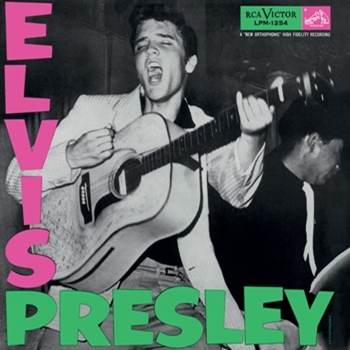 Jackson said the most unique offering in this vein was on Presley’s 1959 release A Date With Elvis. "We included the calendar on the back -- with the date of March 24, 1960 circled when he was supposed to come back from the Army. Little things like that are something I feel that people will find fascinating." Though Elvis Presley - The Albums Collection will never be equalled in scope, Jackson says Legacy is already planning some releases for 2017, the 40th anniversary of Presley’s death. "We’ve got some interesting ideas. The 40th anniversary of some of the last recordings he made is coming up, so we’re toying with the idea of how to best present those. It’s my argument that he never lost it -- that he was never anything less than amazing. He was the greatest singer of all time, as far as I’m concerned, and was always trying to do his thing. Despite all the troubles he had in the '70s, including fights with the label, how they were promoting him and how they made him feel, he was still cutting great stuff. That’s a lot of what we’re talking about now."